I had my first cigarette behind the chook shed with my best friend when we were maybe 13. It’s such a funny memory now. We had stripped down to our underwear so that our parents wouldn’t smell the smoke on our clothes. But I was still convinced three days later that mum might smell it on my breath. So I vowed after that first smoke that I would “quit smoking” because the stress of hiding it was just too much for me. I think I was 16 when an older friend bought me a packet of smokes to help me get through a break-up (who does that?). With a whole packet of my own to practice on, and older friends to impress, it wasn’t that long before I was hooked. From the age of 18 I was smoking about 30 cigarettes a day. I tried to quit smoking on many occasions, using many different methods. It just never lasted. I was in a relationship where my boyfriend smoked (even more than me), many of my friends smoked, and I spent a lot of time in the pub (when smoking was still legal inside). Smoking had just become part of my life. What made it so hard to quit smoking? I guess the hardest part of quitting was that part of me loved smoking. I loved the feeling of calm that came over me when I lit up. I loved that it was a good excuse to withdraw from a group for a brief period to step outside. It gave me something to do while I sat on my veranda for hours at a time. I loved the feeling of a fresh new pack each day in my hands. All of this sounds so crazy now. But I was so attached to smoking at the time that the idea of quitting was just torture. In 2011 I decided once and for all that I wanted to quit. I thought about it for a long time and argued with myself. Sick of going through the pain of quitting only to take it up again, I wanted to be sure this time that I was ready. So I thought hard about why I wanted to quit. At the time, a beautiful woman with a connection to my family was dying of smoking-related cancer. 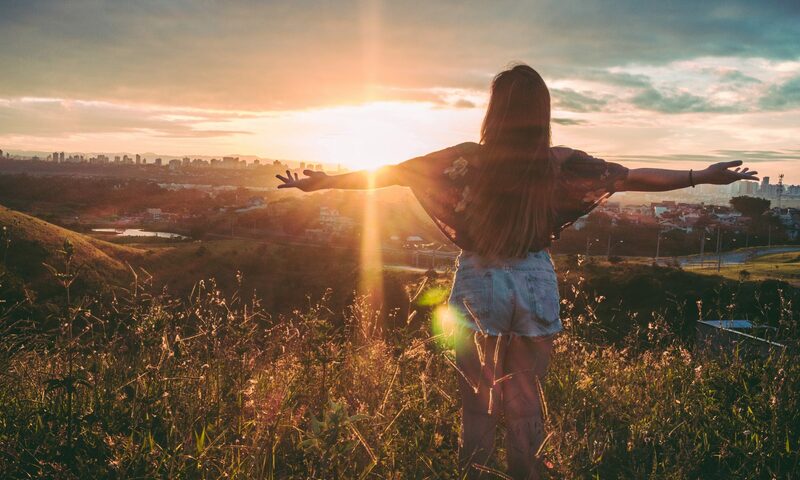 She had been one of the most vibrant, dazzling women I had ever met, and though I didn’t have a particularly close connection with her myself, her situation had a huge impact on me. She wrote about her cancer experience, and her regret for smoking. I read every word and thought about the fact that this woman had lived such a wonderful life and positively impacted so many people, and her impending death was going to shatter so many hearts. And here I was, living a very-less-than-ordinary life, not making a positive impact anywhere, but smoking my little lungs away. I didn’t expect that my death would have quite the same impact on people, but I also realised that it wasn’t fair to put my family through it in any case. Smoking was something that I could choose to do or not to do. To quit smoking was one small way that I could show my family I loved them – not because they wanted me to quit, but because I didn’t want them to suffer the pain of watching another loved one die an avoidable death. But that wasn’t my only motivation. It was getting bloody expensive! I was spending a huge amount of money on smokes and missing out on other things. It sucked being broke all the time. I was a bit ashamed of being a smoker, so I spent a lot of time trying to hide my smoking and to make sure I didn’t smell offensive. This was effort that I realised I could spend on more interesting tasks and activities. I would get very anxious if I thought I’d be in a situation where I couldn’t easily have a smoke. I would even avoid certain situations if necessary. It was tiring having to plan ahead for smoke breaks all the time. I never had enough time for things I wanted to do. But I was smoking around 30 cigarettes a day. Each smoke would take about 5 minutes. That’s something like 2.5 hours every day that I was spending just on poisoning myself! Ridiculous! I don’t like being dependent. Whether it’s depending on a person or a thing, it makes me uncomfortable. I like to know that I’m in control of myself, and I certainly wasn’t when it came to smoking. I was entirely dependent on Peter Jackson. While I sometimes tried to fool myself that I was smoking because I chose to and because I enjoyed it, the reality was that I was smoking because I had come to depend on it. I was sick of being sick. “My immune system is weak” I would moan every time I got sick. Colds, flu, and chest infections were so frequent, and they would be severe and last a long time. I would be embarrassed every time I got sick, because deep down I knew that I would be a lot healthier if I didn’t smoke. Focus on why you want to quit. No matter how big or small, think of as many reasons as you possibly can that you want to be a non-smoker. Forget about the things you like about smoking. Don’t worry too much about all the things you hear about how bad smoking is (although it’s all important and valid). Really focus on your own reasons for quitting, like I did in the list above. Also, it helped me to think about it as “reasons I want to be a non-smoker” rather than “reasons I want to quit smoking”. It just felt more like I was moving toward something positive rather than moving away from something that I had somewhat enjoyed. I’m a big believer that you can’t quit an addiction until YOU want to and until YOU are ready. It doesn’t matter what everyone else’s reasons are – you have to convince yourself that YOU want to quit. Give yourself a time frame. Rather than just aiming for one solid quit date, give yourself a time frame in which to quit. You might aim for a week or a month (you probably don’t want it to be too much longer). As I spoke about in another post, I knew that telling myself I’d quit on the 1st of January was a mistake. That time of year is still too relaxed and full of social activities, and that’s when I knew I’d find it difficult to quit. The possibility of falling off the wagon once or twice was also strong, so I decided I’d give myself until the end of January to be a non-smoker. This worked. On the 9th of January 2011 I had my last smoke. What do you do that is linked to your smoking habit? Is it something that you can give up or change, perhaps temporarily? I quit drinking at the same time as I quit smoking. The two often went together for me, so it would be much harder to stay off the smokes if I was having a beer or wine. Giving up drinking and smoking was effing hard, but it was easier than only giving up one at a time. I drank soda water from a wine glass to make it feel like I was still enjoying a special drink until I got used to not drinking. I stayed off the booze for about 9 months I think, and by the time I allowed myself to drink again, the association had been broken. By then I loved being a non-smoker. Track and reward your progress. Do something that will help you see and celebrate your success. I literally gave myself gold stars. I had some pretty, sparkly gold star stickers like these ones. It might seem like such a small thing, but I think it was one of the key drivers for me. The satisfaction of putting that sticker on the calendar at the end of the day was huge. And gradually, my calendar started to look SO FREAKIN’ PRETTY! It sparkled and glowed and congratulated me every time I walked past it. Distraction is your friend!I focused on decluttering my house. With all this extra time on my hands, I needed something to keep me occupied. So I worked on going through each room in my house and getting rid of anything that was just clutter. Not only was my body starting to feel cleaner, but so was my house. Admittedly, in the early days I was such an emotional wreck from the withdrawals that I probably threw out more than I normally would. My thinking would have been along the lines of “If I can’t smoke, then what’s the point having all these things? Life is going to be miserable anyway – INTO THE BIN!! !” (It wasn’t my most rational period). You’re going to feel pretty crappy for a little while, but I promise it gets better. In the meantime, do things to pamper yourself and make yourself feel good.I made a habit of regularly having a long luxurious bath with candles and a book. Also, I started eating better because I had more money for good food, and more time to cook it. There was a huge cupboard in my house full of lovely pampering products like hand creams, moisturisers, bath gels, etc. So, I started trying to use some of those each day. Now that I didn’t stink of cigarettes, I could appreciate the beautiful scented products on my skin. Even in five-minute blocks, it can be a great replacement for smoking when it comes to stress relief. When I quit smoking, I joined a yoga class. I was so nervous and made sure I got a spot in the back corner. But it soon became my new addiction as I developed an appreciation of my body, extended my skills each week, and learnt beautiful relaxation techniques which were much more useful than smoking. Find a non-judgmental support person who will encourage you. The day I quit smoking, I had a brand new packet of smokes in my bag. My best friend, a non-smoker, was always supportive of my efforts to quit, without being a bully about it. I knew I could trust her to guard my “emergency pack” and that she wouldn’t let me have them unless it was really, really desperate. Knowing that I already owned a pack prevented me from going and buying more in the weak moments. But knowing I’d have to ask my friend to give them to me made me consider whether I really needed them. She was so strong – there were times in those first weeks where I was crying and really struggling to break the addiction. It would have been much easier for her to hand me the pack and shut me the hell up, but she never did. She just kept telling me how proud she was of me, and how well I was doing. You need to have someone on your side. Try to be really conscious of how different you feel. The first few days were usually the hardest for me, but even several months later I’d have weak moments where I’d really miss smoking. So I tried to always be mindful of how nice it felt to breathe fresh air, to have time that I could use productively, to not be sick all the time, to have more energy. Even now, eight years later, I’ll occasionally walk past someone who’s smoking and I’ll get a bit of a craving. So instead of thinking about how smoking felt, I force myself to think about how I feel now. I’m so glad I quit when I did. Without a doubt, it was bloody hard. Addiction is a beast of a thing, and I was so heavily addicted to cigarettes that there were times I thought I didn’t want to live if I couldn’t be a smoker. Crazy huh? I’d tell myself things like “you’ve gotta die of something, may as well be something you enjoy.” But since quitting, I’ve discovered things I enjoy even more, and they’re not even gonna kill me! I rarely get sick now (although that changed recently when my baby started day care and started bringing a heap of germs home). Even when I do get sick though, I recover a lot quicker. I now own a house, a car, and plenty of nice things and I go on real holidays. Yeah, so I have a mortgage, but even that would have been impossible with how much I was spending on smokes. With all the extra time (and self-esteem) I had when I quit, my life started to turn around in so many more ways. I took up study, I joined volunteering groups, I got a job I loved, I left a toxic relationship and built a loving, respectful relationship. It was such a huge turning point for me. Most of all, as a non-smoker for 8 years, I FEEL FREE. If you’re considering quitting smoking, or some other habit that you don’t want in your life, do it. 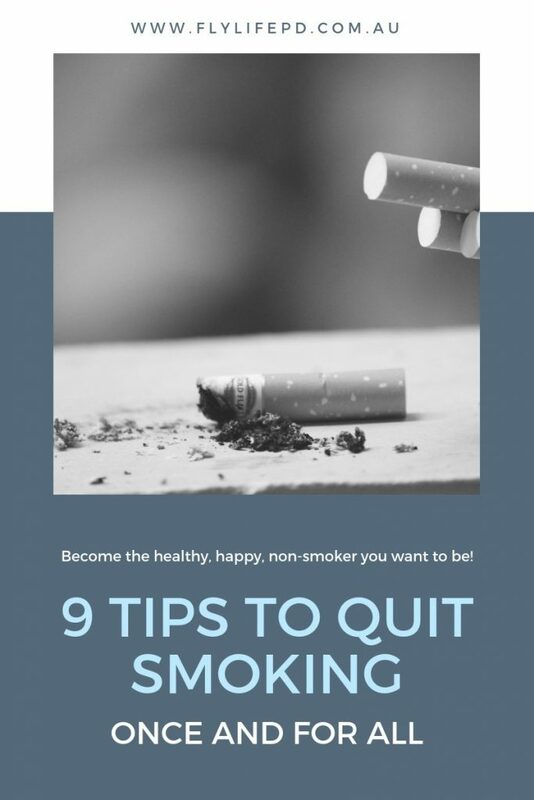 Start by focusing on reasons you want to be a non-smoker. Set a time-frame where you will work on quitting. Aim to quit as early as possible in that time frame, but give yourself some leeway if needed, and then keep trying the next day. Identify your habits that are linked with smoking, and either change them or quit them as well. Track and reward your progress. This might be something as simple as gold stars on the calendar, or perhaps you’ll buy yourself a treat with the money you’ve saved on smoking. Focus on a project to keep yourself distracted. This will also give you something to show for all the extra time and energy you have. Introduce self-care and pampering to get you through the crappy feelings of breaking the addiction. Practice yoga or meditation. Even if you just use YouTube to find some quick 5- or 10-minute videos, it’s a great replacement for the stress relief that you once got from smoking. I know it’s not everyone’s thing, but at least give it a try. Have a trusty sidekick. Having someone to support you is really important. Also remember that there are resources like Quitline to get counselling and support. Acknowledge and focus on all the positive differences throughout your quit journey. Every time you have a craving, think instead about the things that have improved since you quit. I’m not saying that you’ll never feel like smoking again. 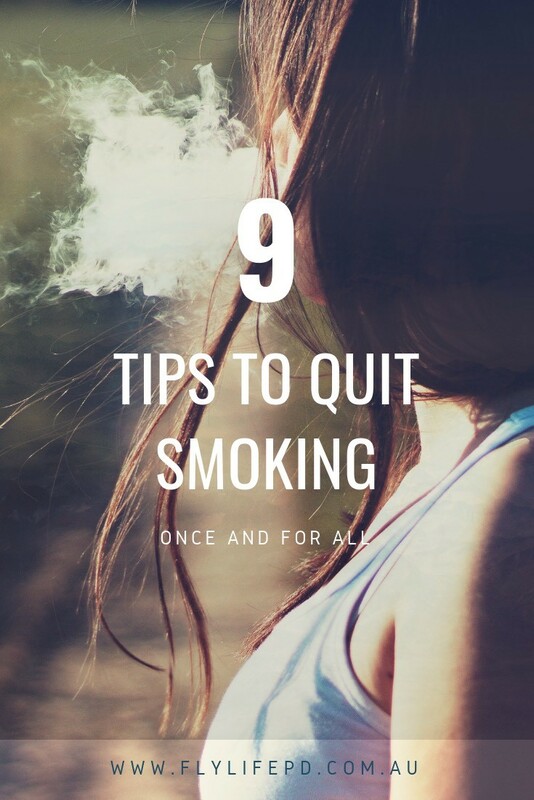 But using these strategies has helped me to remain a non-smoker, even through some really difficult times. I’d love to hear from you in the comments if you have any other tips to suggest. Or feel free to email me if you have any questions or would like some support to begin your journey toward being a non-smoker.